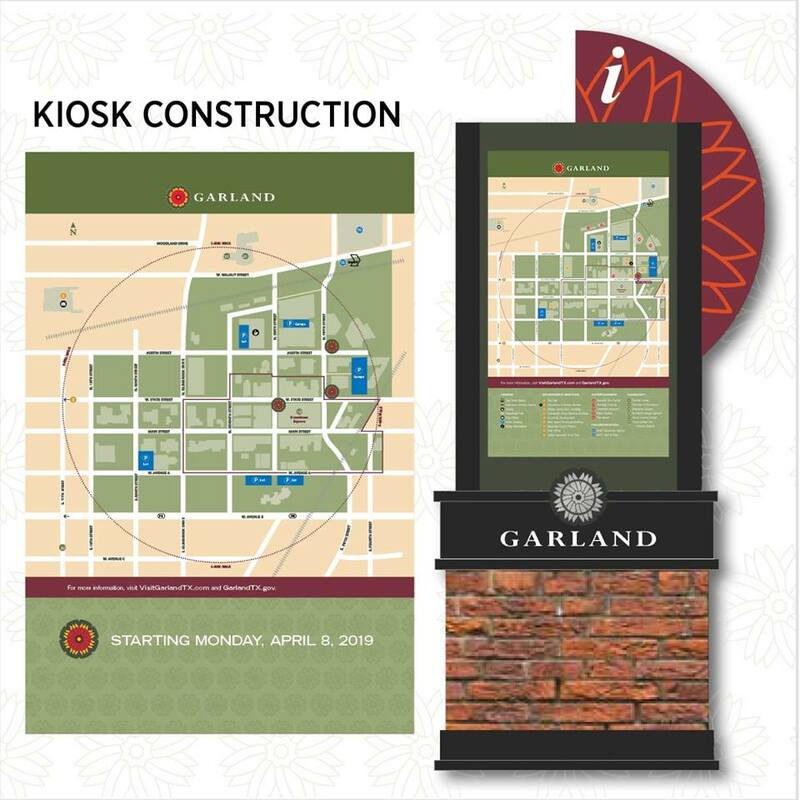 Wayfinding in Downtown Garland is being represented by the construction of 6 kiosks. Those kiosks will presumably contain information on upcoming events and locations for shopping and dining. We are told that the total cost for the construction, electrical hookups, and other expenses involved in the building of the kiosks will total $90K. This wayfinding program is part of a 2014 CIP (Capital Improvement Program). 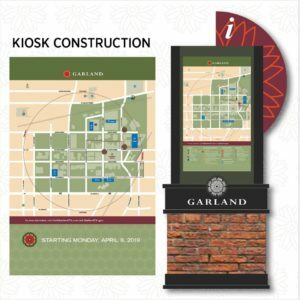 The purpose of the kiosks can be a bit confusing, as it would seem wayfinding TO Downtown Garland would be more appropriate. For more than a decade we have been involved in the promotion of small businesses in Downtown Garland. The purpose of our efforts and those of many others has been to bring people to the area. There is still much work to be done in the areas of economic development and marketing. Nevertheless, there will be 6 kiosks inside the downtown business district to assist pedestrians in finding their way to desired destinations. Seems like they’re putting the cart before the horse, but maybe in time the kiosks will actually serve their intended purpose.